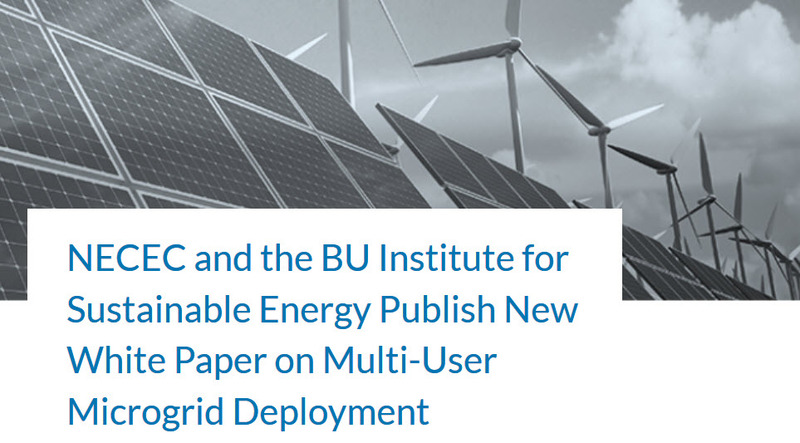 November, 2018 — White paper by NECEC and the Boston University Institute for Sustainable Energy. Multi-User Microgrids: Obstacles to Development and Recommendations for Advancement, published with support from E4TheFuture, explores seven key barriers limiting multi-user microgrid development, as well as potential solutions. The paper focuses primarily on the northeast United States. “We believe this is an important contribution to the limited literature pertaining to multi-user microgrids,” said Professor Kira Fabrizio of the Questrom School of Business at Boston University, the principal investigator for BU’s Institute of Sustainable Energy on this research.